As the Jefferson County Business Lobby reviews and takes formal positions on the most important business-related bills of the 2018 Colorado legislative session, we are proud to note that, once again, JeffCo’s own state legislators are playing leading roles on many of the JCBL’s top policy priorities. Those priorities for the year include increased transportation funding, easing regulatory burdens to maintain a strong, competitive business environment and helping businesses attract and retain skilled employees through better education and an affordable housing supply. Three efforts are underway to find a much needed increase in funding for transportation infrastructure. All eyes on are a potential ballot question in November that will ask voters to approve higher sales taxes for roads. Meanwhile, the Legislature will have to decide how much, if any, of an unexpected state revenue surplus will go to transportation. That decision won’t be made until late in the session. Also, the Senate Republican majority have made a proposal to dedicate a portion of state sales tax revenue to pay back $3.5 billion in road bonds their top legislative priority – SB001. JeffCo Rep. Tim Leonard and Sen. Tim Neville have introduced a similar measure (HB1119) and the JCBL is supporting both bills. In fact, we support an “all of the above” approach to road funding. The JCBL has also been reviewing a large number of bills to help Colorado’s business train and retain skilled talent. For example, the JCBL is supporting bills creating tax credits for childcare expenses (HB1004), requiring more information be sent to high schoolers and their parents about college credit that can be earned in high school (HB1005 – JeffCo Rep. Brittany Petterson), and funding the construction of career and technical education facilities (HB1034). Affordable housing for new and current employees is also a priority for the JeffCo business community. No new legislation addressing the construction litigation crisis in condos is expected, but the JCBL is supporting a bill to extend the existing low income housing tax credit (SB007), while opposing some misguided attempts such as imposing a tax on plastic bags (HB1054) and real estate transactions (SB006) to fund affordable housing. The JCBL is also supporting a number of bills to reduce tax and regulatory burdens on businesses. A multi-year effort to simplify Colorado’s notoriously difficult sales tax system may take a major step forward with legislation to help create a state-wide simplified sales tax reporting system (HB1022, with an all-JeffCo lineup of sponsors – Representatives Lang Sias and Tracy Kraft-Tharp and Senators Cheri Jahn and Tim Neville). Other pro-business bills supported by the JCBL include one to reduce business personal property taxes (HB1036 – Rep. Tim Leonard and Sen. Tim Neville); another to permit small businesses to “cure” minor regulatory paperwork infractions without a fine (HB1113 – Sen. Tim Neville); and, one to permanently extend the requirement that state regulators do a cost-benefit analysis before finalizing new regulations (HB1237 – Rep. Tracy Kraft-Tharp and Sen. Tim Neville). 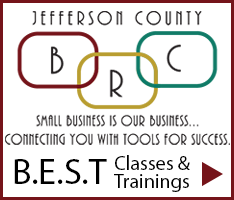 Again, you can find the status of all of the JCBL bills at jeffcobusinesslobby.org. While you are there, sign up for regular updates under the “Take Action” icon. Lastly, please mark your calendars for the JCBL Day at the Capitol on March 6th from 8-11am.